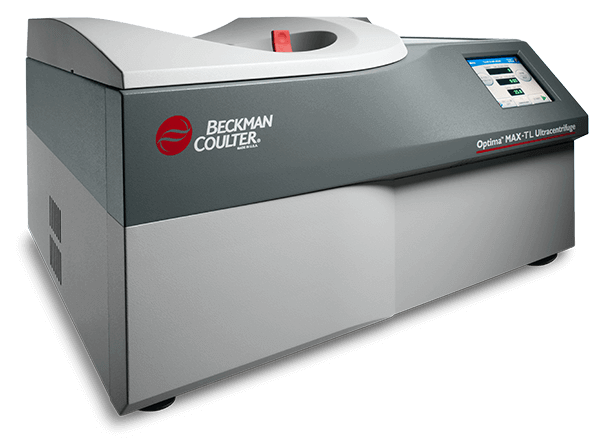 BioSafe† Optima™ MAX-TL Tabletop Ultracentrifuge 120,000 rpm (with TLN-120 Rotor), 657,000 x g (with TLA-110 Rotor) for 50 Hz, 220/240 V; 60 Hz, 120V; 50/60 Hz, 100 V operation, CE/CSA/NRTL. Includes Optima™ MAX HEPA Filter Kit. †Biosafe is a term intended to describe the enhanced Biosafety features of our products.